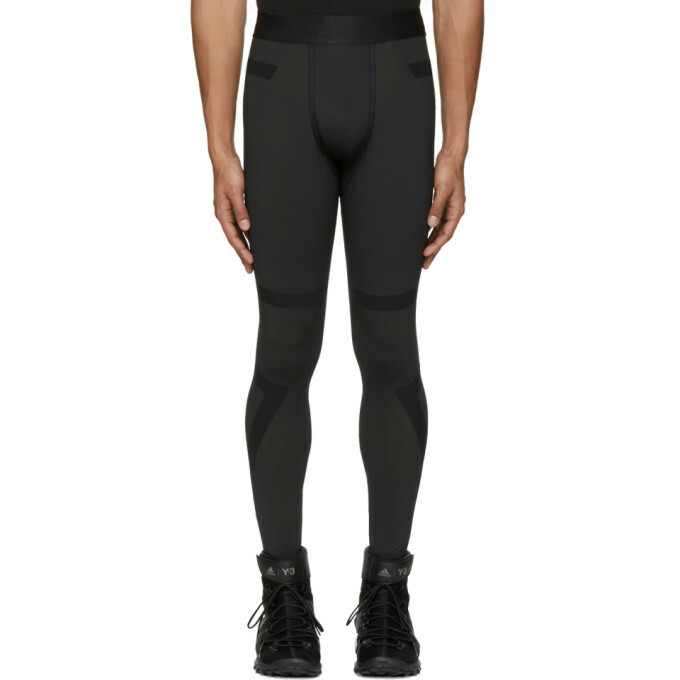 Y 3 SPORT Black TechFitreg Long Tights $145.00 TechFitreg jersey compression tights in black. Logo accent at elasticized waistband. Bonded trim throughout. Mesh trim at gusseted crotch. Rubberized logo patch at back waistband. Tonal stitching.